Home › Blog › Summer's the Pits! The sign of summer here in South Georgia is the appearance of pictures of kids eating peach ice cream starting to pop up on your Social Media feeds. Every town has its own stop for everything peaches and my town is no different. Recently, I took the two boys with me to visit my mom in Middle Georgia. My mom and I are fans of tours, learning how things are made and just general walking and looking, three things my husband has no interest in. He sees it as "just walking around and looking at things." So, Saturday we hopped in the car and headed to Lane Southern Orchards in Fort Valley, Georgia to check out the birthplace, picking and packaging of most of the peaches we eat. Driving in, the road is nestled by peach orchards on both sides, creating excitement and setting the scene for the area's number one agricultural crop. Lane is very popular, as you can imagine, this time of year and the parking lot is full of cars with Georgia tags and beyond. The kids immediately notice the playground (of course! ), but I persuade them, with the possibility of ice cream, to go inside. Before we head in, there is the obligatory photo opp with a large peach - of course. Once inside, you are surrounded by everything peaches - preserves, cider, jam, ice cream, candy and a lot of great produce and products made right here in Georgia. 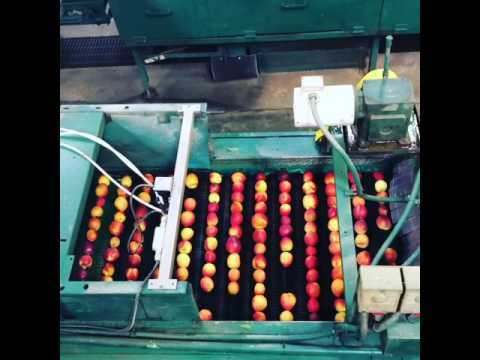 I had my eye on the prize - going on a tour of the peach packing facility. It's a self-guided, tour...my favorite! You aren't stuck with a tour guide going at their pace or at the mercy of the others in your tour group. You are free to wander at your own pace. When you have two young kids this is the best way to tour. Walking on a suspended walkway, we could see the workers down below getting back to their positions after a lunch break. All of the machinery starting waking up and the work resumed. 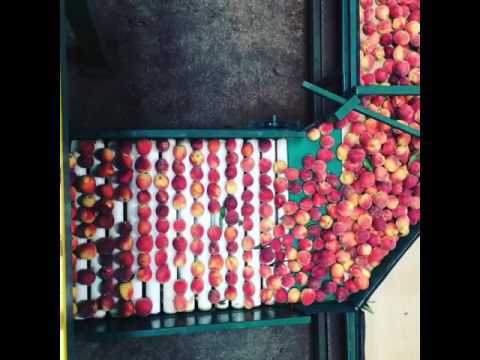 My favorite was watching the peaches being unloaded from huge bins, straight from the fields, onto a conveyor built to begin the packing process. So much fun - my nerd brain was very happy! 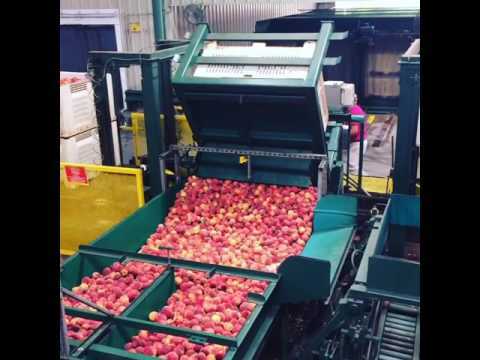 One of the most interesting things I learned about Lane Southern Orchards is that they are the only peach packing facility in the East that handles the peaches by hand. Now that's quality! Once we saw the peaches being packed in to boxes to make it to our favorite grocery story, it was off to taste the ice cream. OMG, it is THE BEST PEACH ICE CREAM! Seriously, though. Truly the best with little pieces of peaches all throughout which gives it more of a peach taste than a rich, vanilla ice cream flavor like most other peach ice creams I have tried. My two-year old, of course, had to share my cone while my 5 year-old, ever the rebel, ate strawberry ice cream. After the ice cream, the natural thing to do is retire to the front porch to swing, or rock in this case. Click here to plan your summer trip.